Music producer Jason Cummings on the instrumentals [symphonic metal]. Nish Amarnath on the lead and background vocals [operatic pop]. Nightwish own the copyright for roughly 30 seconds of video footage. We own the copyright for the rest of the video footage. We do not own the lyrics. Shot and produced in New York City. Nish Amarnath on the lead and background vocals [pop]. Shot and produced in New York City. [As far as we are aware, no other official music video exists for this song, to date]. We own the copyright for the instrumental track. We do not own the lyrics. 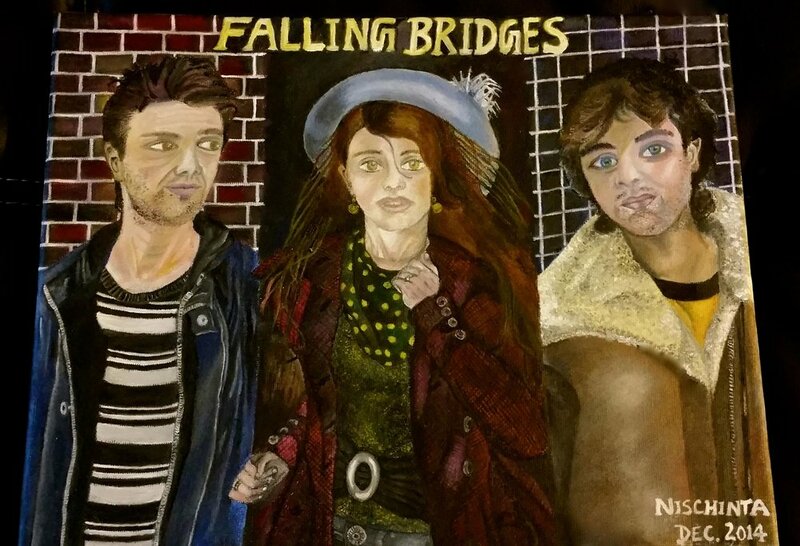 This painting is a poster-style fun teaser for the upcoming novel, 'Victims for Sale' originally titled 'Falling Bridges.' The artwork offers a visual representation of the book's lead characters. A young woman leaning against a wooden rail at a resort in Mauritius gazing into the distance with a carefree smile, which could reflect a state of not doing or not thinking, but just being.